Is Instagram the new scrapbook? Increasingly our possessions and our communications are no longer physical material, they’re digital and they are dependent on technology to make them accessible. As new technology emerges and current technology becomes obsolete, we need to actively manage our digital possessions to help protect them and keep them available for years to come. Personal digital archiving means taking steps (small or big) to ensure your family memories, personal and professional papers are safe from disaster, human error, or everyday digital wear and tear. 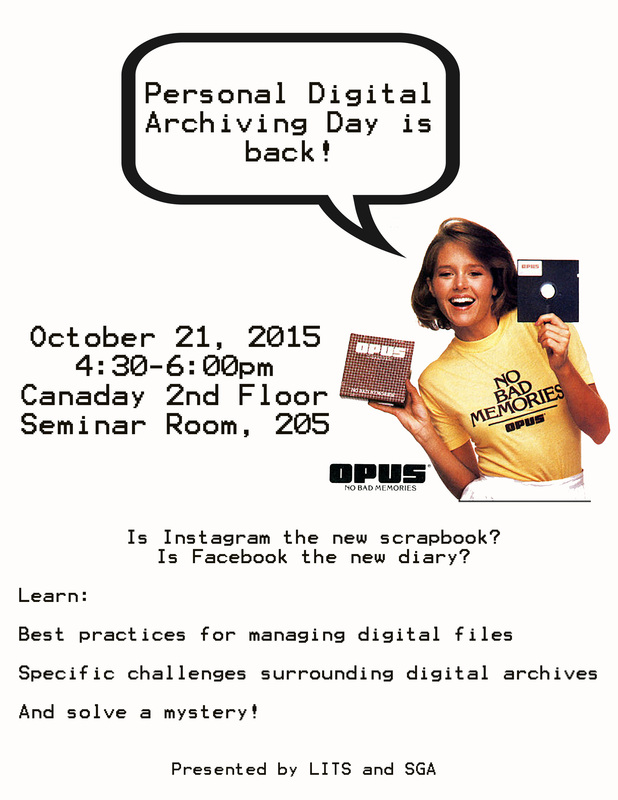 LITS and SGA’s Personal Digital Archiving Day workshop will focus on best practices for managing personal digital archives as well as issues and challenges surrounding digital archiving, culminating in a hands-on mystery game.